How to send a copy of email to the sender? 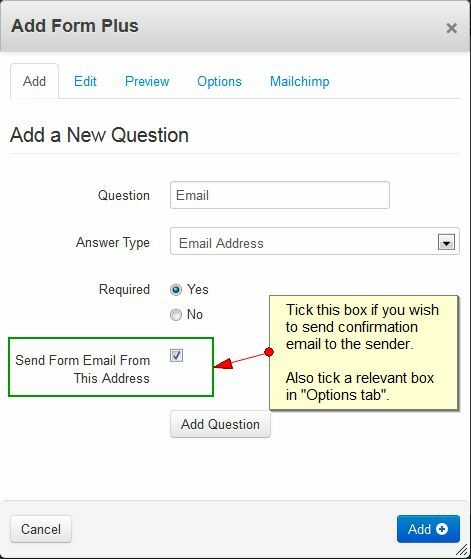 When you create a form, make sure to check "Send Form Email From This Address" box. Then in the Options tab, check "Notify me by email when people submit this form" box and enter the admin email address. Further down the same tab, check "Send notification email to the sender". In the Options tab, you will find some additional settings where you can add files that will get displayed when the form is submitted. Tick "Send notification email to the sender" if you want to send a copy of email to the sender. Also read How to send a copy of email to the sender? above. 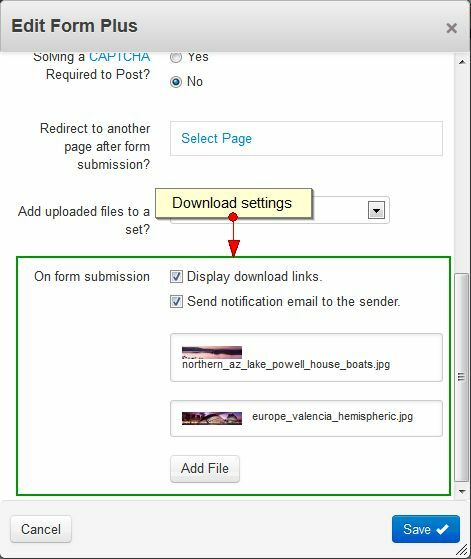 Tick "Display download links" if you want to display download links after the form is submitted. This will also include download links in the notification email sent to the sender. In the Mailchimp tab, enter your MailChimp API Key and List ID. 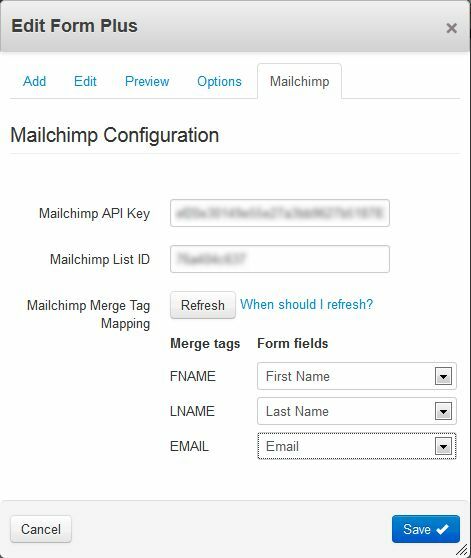 Then press Refresh and map the form fields to your MailChimp merge tags.